1) Chicken wing dip is a major food group in my house. Especially around the holidays. So I’m getting my bloodstream ready for the influx of Franks wing sauce that will be coming in two weeks. 2) I went on a Spring Break Outreach trip to Bay St. Louis, MS during my junior year and we got to spend one day in New Orleans. I had a serious dilemma on which authentic Nawlins foods to eat during my short stay. I ended up picking jambalaya (phenomenal), pralines, and a taste of someone’s gumbo. No po boys for this girl. Had to make my own. 3) When my family went to Kiawah Island on vacation in April, Kelly and I had buffalo shrimp po boys at this soup and sandwich place, so I copied. The restaurant where we got them in Kiawah was called Ladles and they had some slogan along the lines of “Hot soup for cool people.” Or it might have been “Cool soup for hot people.” Either way it really irritated my dad. But the food was good. And also Kiawah is incredible, you should go there. My mom may have started planning my destination wedding at the Sanctuary. I was so excited to blog this recipe because it was delicious but also one of the easiest things I’ve ever made. Thaw the shrimp and take the tails off. Chop into smaller pieces and pat dry. Toss in salt and pepper, then corn starch until they are lightly coated. 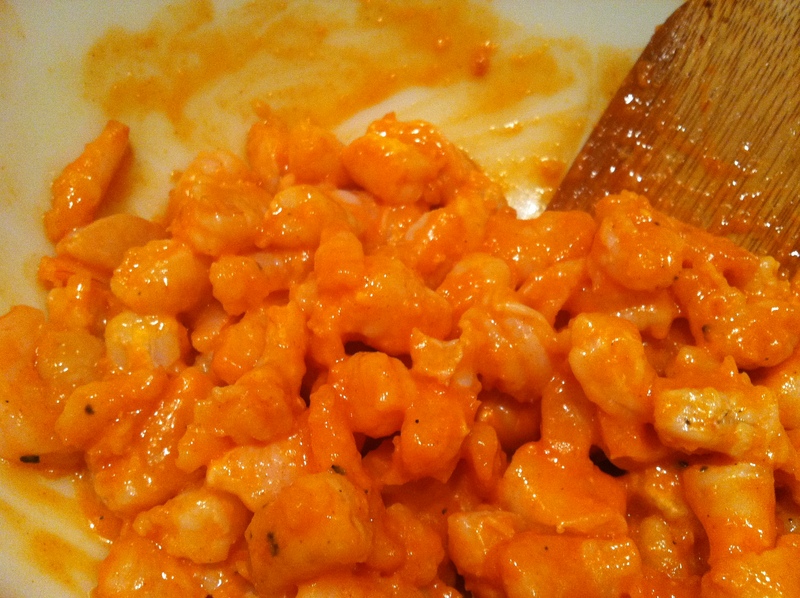 Melt butter in a large frying pan, then fry the shrimp in it for 3 minutes or until pink. Pour into a bowl and toss with buffalo sauce until evenly coated. 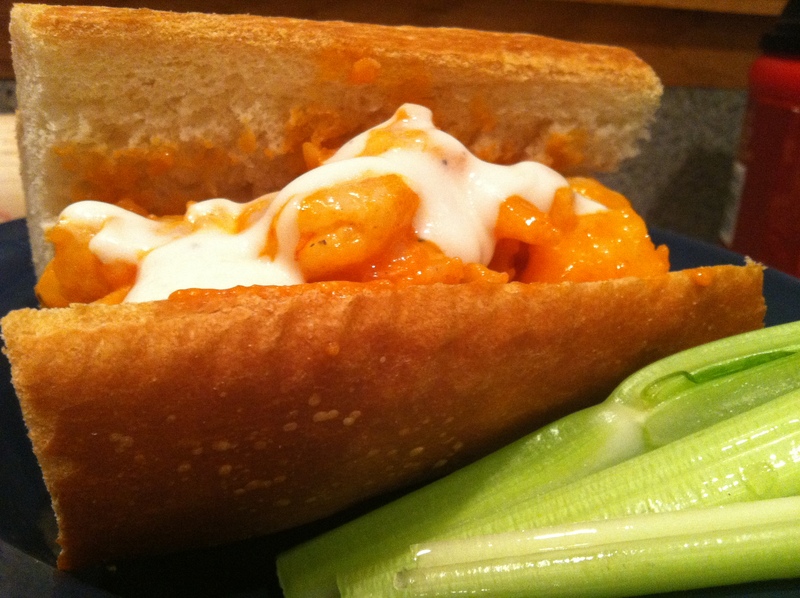 Slice the baguette and shove as much shrimp inside as you can fit. Top with blue cheese dressing (or ranch, I guess) and serve with celery. 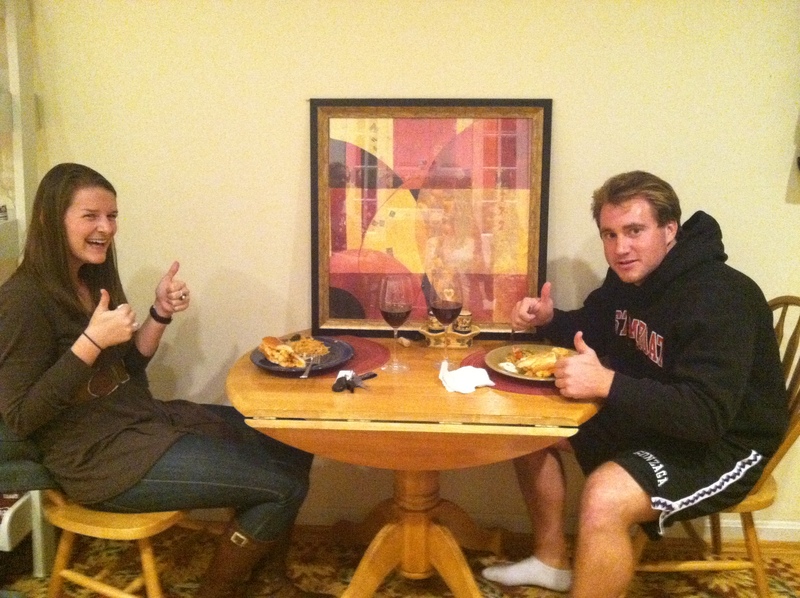 Which is sadder, cooking for one, or telling your sister that you’ll cook for her and her boy toy? Voluntarily a third wheel. Ka-ching.